Those of us that have years of experience working with catastrophically injured individuals see the disturbing pattern time and time again…The patient presents to the trauma center with the initial injury and subsequently travels through a fragmented healthcare delivery system that all too often stops woefully short of meeting the individual’s long term needs. While naturally there is significant focus on the early life-saving and acute phase of the injury, there is dangerously little attention and effort around the coordination of care for long-term management of these high-risk for failure patients. Today’s healthcare system is fraught with the pressures of bundled payments, readmission penalties, length of stay parameters and silos of service. Catastrophically injured patients are often discharged too soon and/or to the wrong setting, unarmed with the knowledge and insight required to navigate their permanently changed lifelong journey. How can this “vortex of failure” be stopped? Challenging the traditional post-acute care delivery model is the key. Catastrophically injured patients require specialized care and rehabilitation services where our current model often stops, fails or misses the boat. We must begin to think differently about the “step down” process for a catastrophically injured individual. If we expect these individuals to integrate into their family and community once medically stable, we need to consider moving them from a highly institutionalized setting (hospital, skilled nursing facility) to a therapeutic residential rehabilitation setting before sending them home. This is a critical point on the post-acute care continuum that can be the vortex breaker. What additional services does this individual need in order to function independently? How will the injured individual adapt to normal living, home life and the community? Can he/she return to work? Will the family be able to cope or do they need time, training and support? These critical questions must be answered and plans made to deliver the necessary services and real life experiences that today are not accounted for in most post-acute care rehabilitation settings. Interdisciplinary and specialized community-integrated residential rehabilitative treatment that will maximize recovery and address long-term needs. Family education and participation in the patient’s rehabilitation program in order to develop the knowledge, skills and advocacy abilities necessary to support the injured individual through a lifetime. There is a strong correlation between the timing and duration of aggressive rehabilitation and an injured individual’s chances of ever returning to work and a life with purpose. Physical, social and vocational goal-setting by an expert team of rehabilitation clinicians can effectively move the patient from where they are to where they want to be. We can safely assume that catastrophically injured individuals do not want to be stuck in a “vortex of failure”. Let’s break that paradigm and work harder to re-integrate these injured individuals back into our communities. Lydia Hendrix RN, BSN, MSSL, CRRN is the Chief Operating Officer / Division Chief Executive Officer of NeuLife Rehabilitation in Mount Dora, Florida. She brings more than 27 years of healthcare experience to NeuLife. She has held a variety of positions in the acute and post-acute care arena, including Chief Nursing Officer, Vice President of Operations and Executive Director of Rehabilitation. 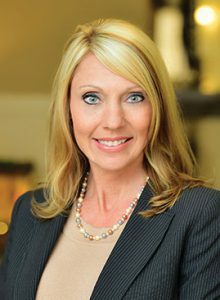 Lydia earned a Bachelor of Science in Nursing (BSN) from Florida State University, and a Master of Science in Strategic Leadership (MSSL) from Mountain State University. She has worked as a surveyor for the National Commission on Accreditation of Rehabilitation Facilities (CARF) and the Florida Department of Health-Brain and Spinal Cord Injury Program. She is also the 2016 President of the Central Florida Association of Rehabilitation Nurses (CFARN).